Since the past 2 years, Winmate is moving forward to become a professional Solution Provider in certain Niche Markets. 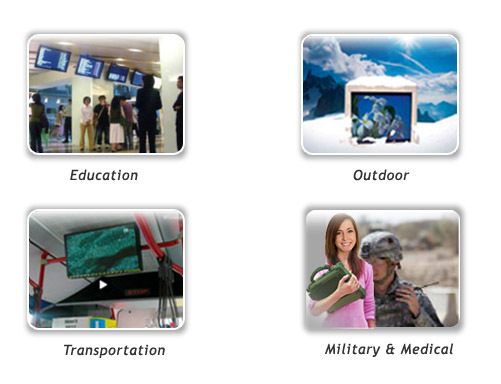 This new orientation and the great results of it will be shown on our booth(Hall1 D624/D626 ) at Computex 2009. Those have been launched, promoted and sold world wide very successful. Visit us and become a part of this success! To give you a even better feeling, we will organize during 3 days the "Experience Tour". From 2nd to 4th of June from 1pm to 5pm you will be guided to our local installations of some of these Solution Bundles and being introduced by the owner or operator and get backgrounds first hand to give you the REAL "touch and feelings" of what Winmate is doing. It will give you a great inspiration to share experience with the others during this tour. If you are interested, please register now. With this new "Solution Bundles" and the "Niche Market Strategy" Winmate is building up the world wide partner network with local Solution specialists in these Niche Markets. If you feel, that also you could be one of them, please contact your sales to arrange further detailed discussions. Enjoy the show! We count on you!